Rachel Hiles, Jane Shearer and Jenny Headland report from the recent Wallington 10K. 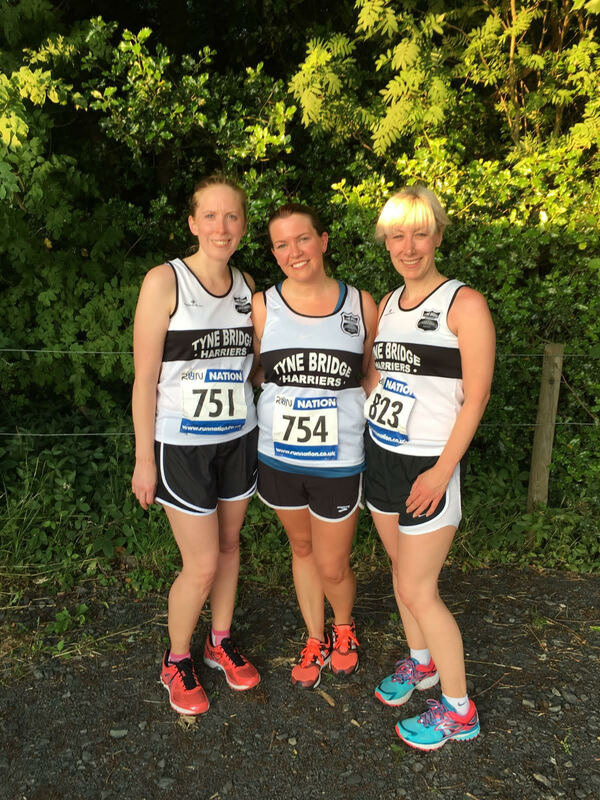 On a hot and humid July evening, whilst many runners headed south to Durham, three intrepid TBH ladies ventured north to Wallington for the Run Nation 10K. This race had all the h’s. As well as hot, humid harriers there were also a lot of hills. A lot. Given the temperature and our well known love of chatting, we decided this ‘race’ was best completed as a ‘social run’ and a lovely, picturesque one at that. Setting off from Cambo the route starts with a great stretch of downhill almost to the river. All good so far, catching up on each other’s news, enjoying the views and the support from friendly on-lookers. Once we had settled into our pace after about 3K and watched the myriad of runner disappear into the foreground we concentrated on what was to come…the start of the uphills for the next 3 and bit Ks. As half way through the run approached we saw the water station, it was like an oasis in the distance and couldn’t have come soon enough. We were now half way through, high 5’s all round and we could now see us crossing the finish line. Exhausted, hot and weary but we were still soaking up the beautiful scenery as the sun was starting to set over the Northumberland fields. Not going to lie, there were times when we had to walk but this just meant we could have a better look at where we were running. Encouraging through the difficult times and using our running skills to help to tackle those hills. We stayed together supporting each other for every step, even supporting others who were struggling…commonly known as the TBH way. The last 2km were a breeze (and a welcome one at that) – the final decent! Once again the route follows the road down from Cambo where we’d started. This time we picked up the pace and chatted a little less (for us anyway). Golden sunlight peeking through the tree lined road before turning right into Wallington Hall. Through an old stone walkway between buildings and the finish – an inflatable arch on the grass in front of the house. Certainly one of the grandest race finishes! A welcome bottle of water after the sauna style heat, and technically a medal (although ours are coming in the post as our relaxed pace meant they’d all gone!). Tans topped up, social catch up achieved, and feeling virtuous from those hills, we headed home for an ice cream. 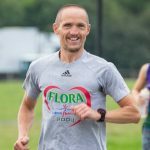 A PB course? Certainly not! Pretty and enjoyable? Most definitely! Will we be back next year? Hell yes!! who need’s the pub when you get catch-up all the gossip during a run! love it!